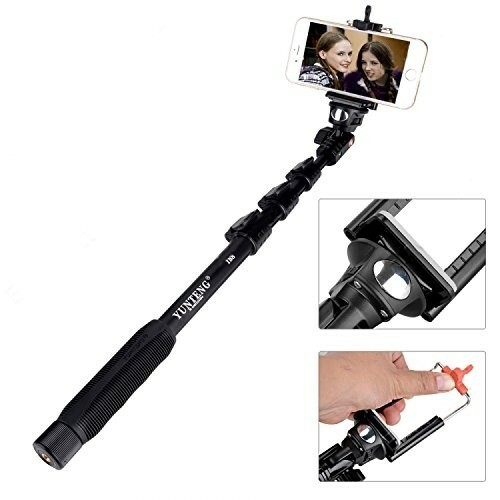 Quick Overview : ENRG Brings you The Sturdy Selfie stick YUNTENG YT 188. 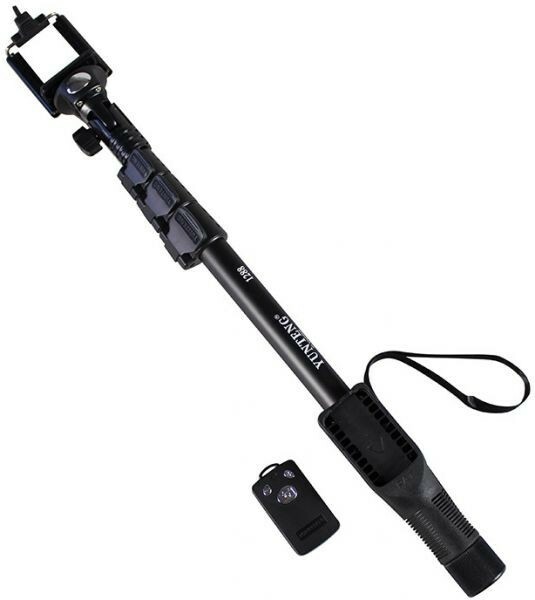 It's strong steady design for a selfie stick. Can take upto 2.5 Kgs of weight. Can support a mobile phone camera as well as a DSLR camera. It can be expanded from 425 mm to 1250 mm. Comes with a flexible mobile holder. Stainless steel body. Once the remote is fitted on the clip , fit it on the stick and click pictures with one hand. Best for all GO PRO models. 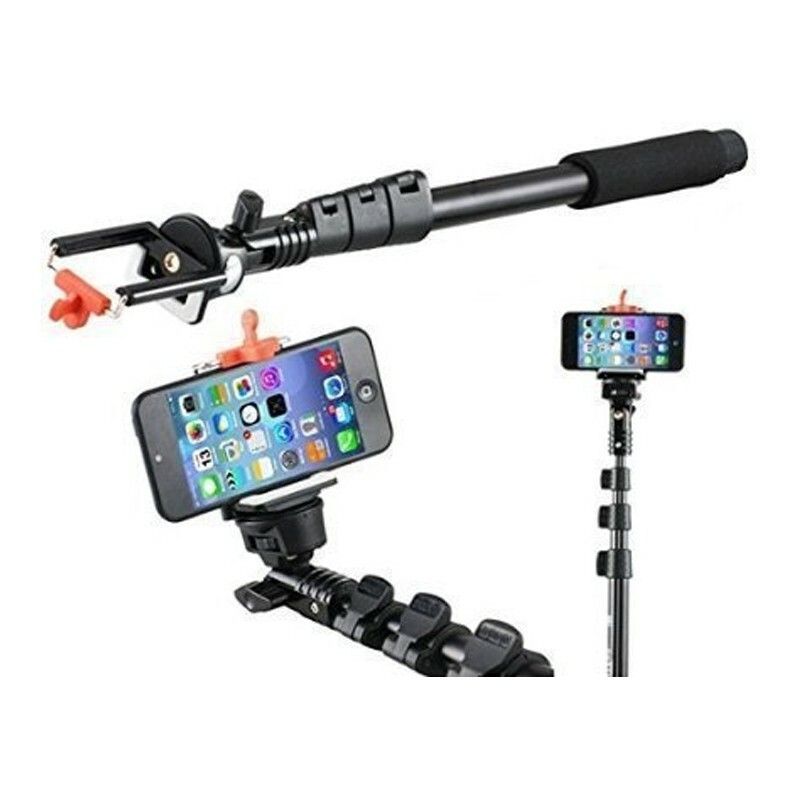 The Mobile mount is rotatable . This Model is complete package for selfie lovers. THE STICK CLIP HELPS THE REMOTE TO BE ATTACHED ON THE STICK SO THAT YOU CAN CLICK PICTURES USING ONE HAND BEST FOR ALL SCREEN SIZE UPTO 6.5'' INCHES / ALL GO PRO MODELS / ALL NIKON / CANON DSLR & DIGICAMS WITH TRIPOD MOUNTS BLUETOOTH REMOTE COMPATIBLE WITH ALL SAMSUNG GALAXY SERIES S / A / NOTE ALL MODELS, MOTOROLA E /G/X ALL GENERATIONS MODEL, iPhone 4/4S/5/5C/5S/6. ONE PLUS ONE, in Focus.